We at Rainforest Cruises believe – and our clients agree – that meeting and interacting with the local population while on an Amazon Riverboat cruise, is an important and enjoyable element of their tour experience. We are all as fascinated by members of our own species as by the countless exotic species of flora and fauna that are to be found in the Amazon region. Do you have a noteworthy ability that would entertain the locals. For example, perhaps you play the harmonica? Or the spoons?! Or can juggle? If you can, you will find a very willing audience amongst the villagers. Remember to bring the necessary props for your ‘performance’. I once had a client who was a professional storyteller on a trek in the desert mountains of Morocco, and she had the whole group, including non-English-speaking Berbers, enthralled with an animated story. While not everyone is blessed with such talents, with a little thought, most of us can come up with something that would amuse young children! • If you do have gifts to give, ask the guide to recommend a local authority, such as a school teacher, to entrust the distribution to. • If you do want to make donations yourself, we suggest you buy the items – such as fruit or pencils or batteries – locally, so that you are supporting local business as well as giving people things they want. • Some cruise boats even sell ‘donation kits’ on board, with pens, fishing lines and basic clothing included. Items they consider are not readily available in the communities visited. Soccer is a universal language across South America, and every village has a rustic pitch with improvised goalposts, at the very least. Bring a football and you can easily get a game going. But be warned: it is hot and you will be sweating buckets within seconds. Goalkeeper is therefore a good option! Spectator even better!! Stop: In a small group and with a relaxed pace, it is easy to get away from the rest and find a quiet spot to sit, watch the world go by, and just let things come to you. Buy a soda or beer at the local shop, and sit outside. Buy a couple of bags of chips and offer them to passers-by. If you have a smattering of Spanish, now is the time to wheel it out. If not, no matter: you will always be received with kindness and curiosity. • Video: Most people feel awkward when being videoed, so you could hold the camera at waist height, with the screen pointed upwards, so as to be less intrusive. 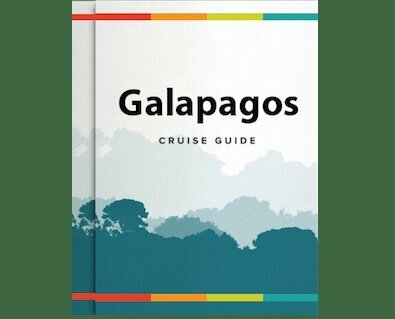 • In general, we urge passengers not to experience the Amazon jungle entirely through a lens, but take the time to absorb the noise, the smells, the voices and character of the people, all of which cannot be captured on celluloid. • The Amazon river boats are designed to accommodate only a small number of passengers – up to 34 – and so any visit to a village will not be an invasion. You will not outnumber the locals and so you shouldn’t upset their routine. • The riverboats visit a number of different communities and do not warn them that they are coming. Thus, the villagers are caught in the process of going about their daily lives, rather than lying in wait for the exotic visitors. • The riverboats are well-received, as they usually bring a number of benefits. For example, on the M/V Aqua and M/V Aria there is a resident medic, and he or she will be doing check-ups and treatments while the boat is moored by the village. • The naturalist guides are often locals and will know some - or even most - of the people you encounter. In conclusion, Rainforest Cruises provides the opportunity to mingle with the fascinating and welcoming inhabitants of the Amazon jungle region. The crew of the cruise boat will do all they can to inform and introduce you to the locals. All you need to do is break the ice, in whatever way you feel best. To view all of our Amazon river cruises, click here.